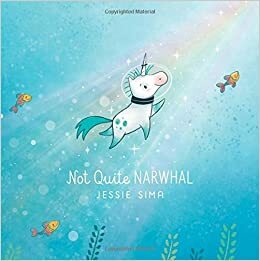 Summary: Kelp knows he’s different from his narwhal friends–his horn is shorter, he has different tastes in food, and he’s not a very good swimmer. But they like him anyway, so he doesn’t worry about it too much. Then one day he gets caught in a current that carries him to dry land, where he finds creatures that look just like him. They tell him they are unicorns, and they teach him the magical wonders of their species. Kelp loves his new life, but eventually he starts missing his old friends. He’s afraid they’ll be mad at him for having been gone so long, but they welcome him back with open flippers. Turns out they knew all along he wasn’t a narwhal! But how will Kelp manage to navigate his two worlds? 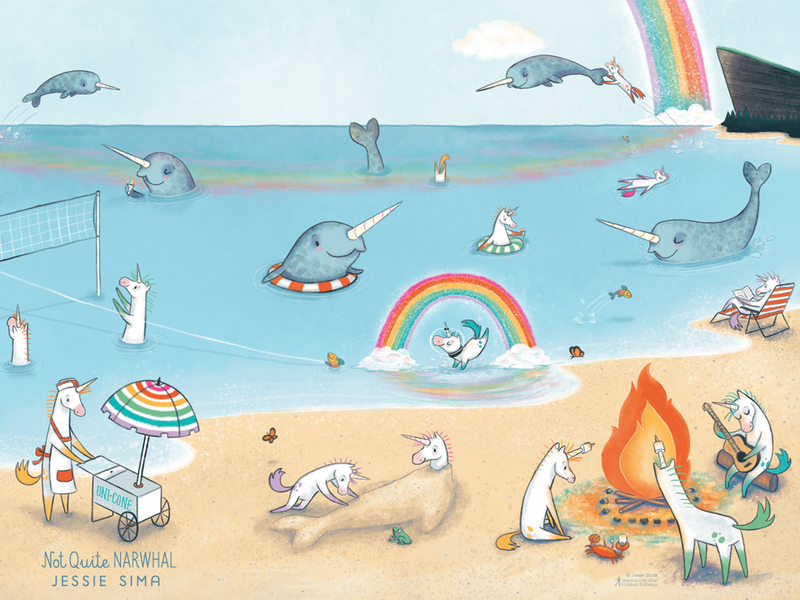 The last page has the answer, with unicorns hanging out on the beach and wading into the water to play with the narwhals. 40 pages; ages 4-8. Pros: Embrace who you are, man, this time with unicorns and trendy narwhals. The message is good and the illustrations are irresistible. Cons: It’s not exactly a new message in the world of children’s literature.